Another good feature of Disqus Comment System which was rolled out recently is the ability to display the commenter’s IP and email address when moderating comments. 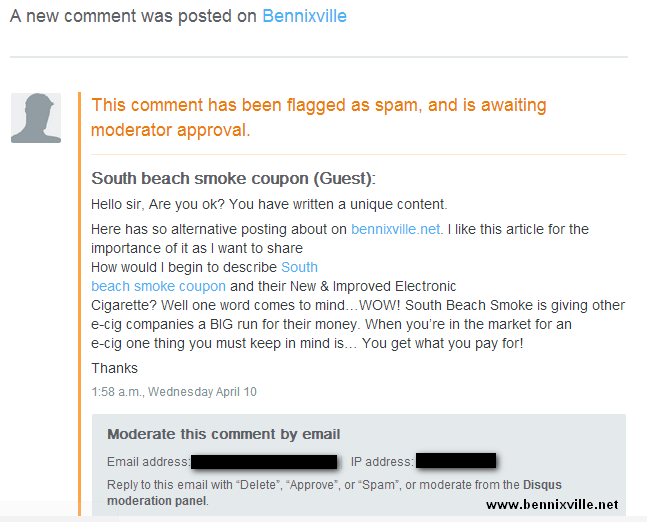 So, it could help webmasters easily deals rude spam comments by blocking their access on site. ‘Spam Comments’ are comments containing promotional links to blogs, wikis, guestbooks, or other online portals. The links that point to the spammer's web site artificially increases the site's search engine ranking while it could possibly harm the victim’s blog search engine optimization benefits. 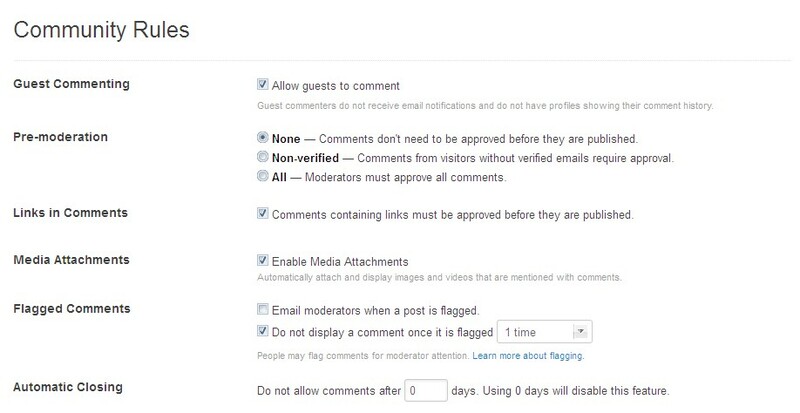 In order webmasters could get notification thru email when someone had put up spam comment on a certain post, they need to enable Disqus comment moderation in the Admin> Comment > Moderation Settings. 5. Click save, you’re done. Note, you have also the option to remove people from the blacklist as you wish. 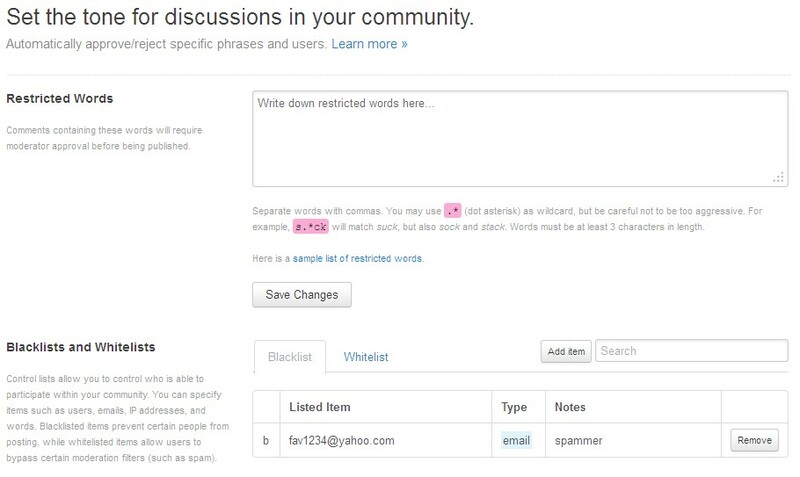 I hope this tips would help you fight spammers attacking your blog with Disqus Comment System.